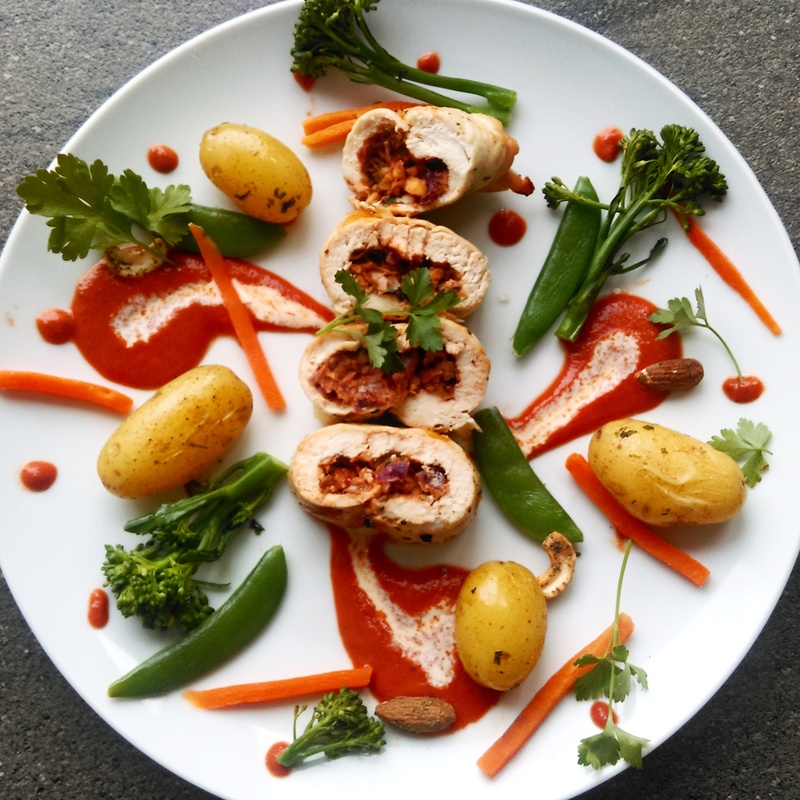 Stuffed chicken breast is one of those deceptively easy recipes – slice it up and put it on a plate at a dinner party and it will look delightfully sophisticated. 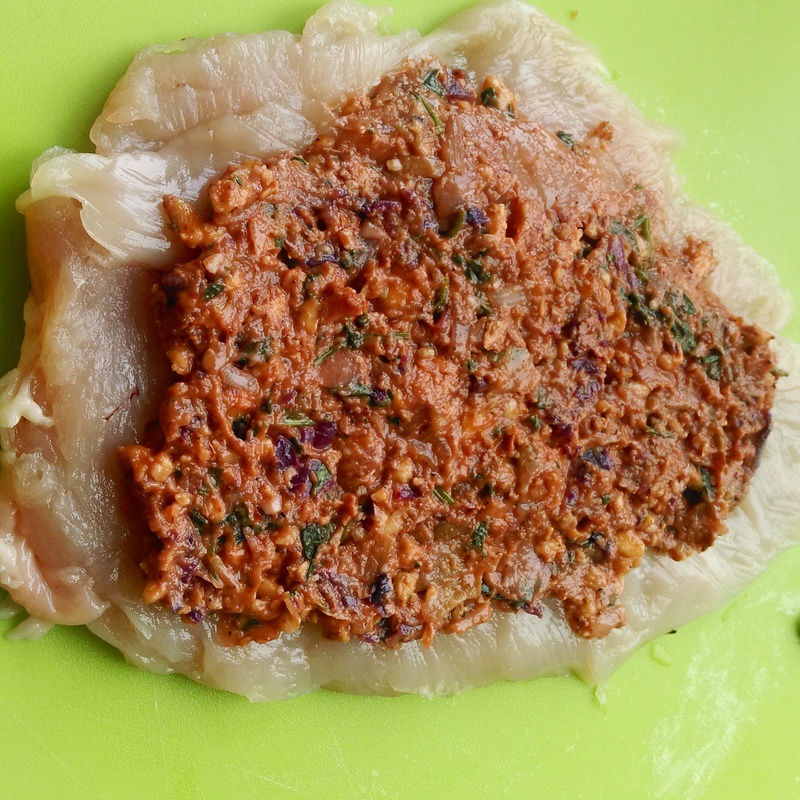 Most importantly, it keeps the chicken moist and substantial – nobody likes dry chicken. 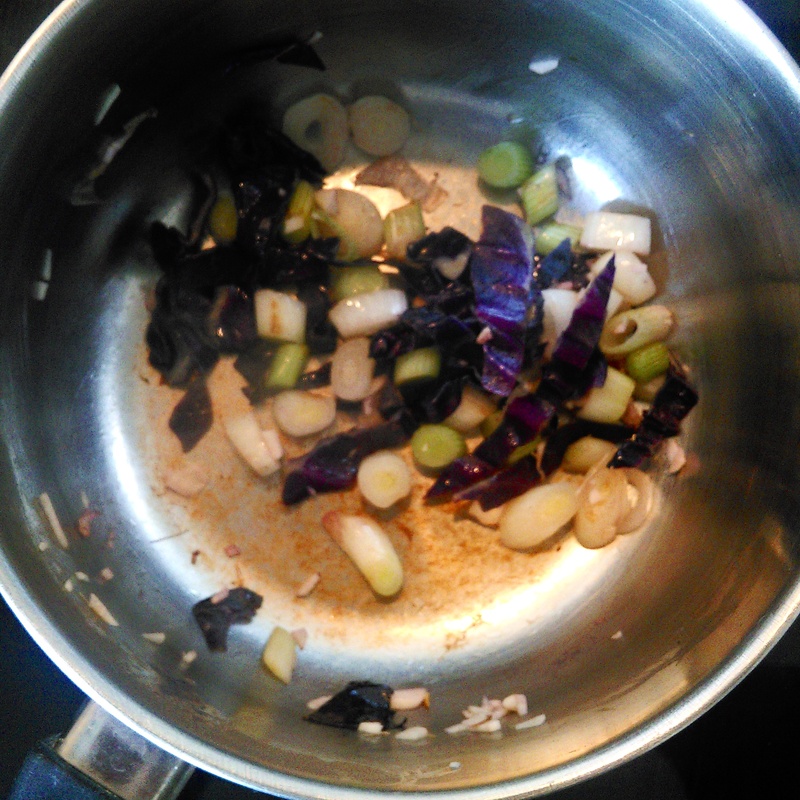 Of course you can substitute different things in the stuffing – I had a little red cabbage lying around so incorporated that. The sauce is just a little passatta mixed with cream, pepper, cayenne and a little sugar to take off the edge – took 5 minutes while the chicken was grilling. 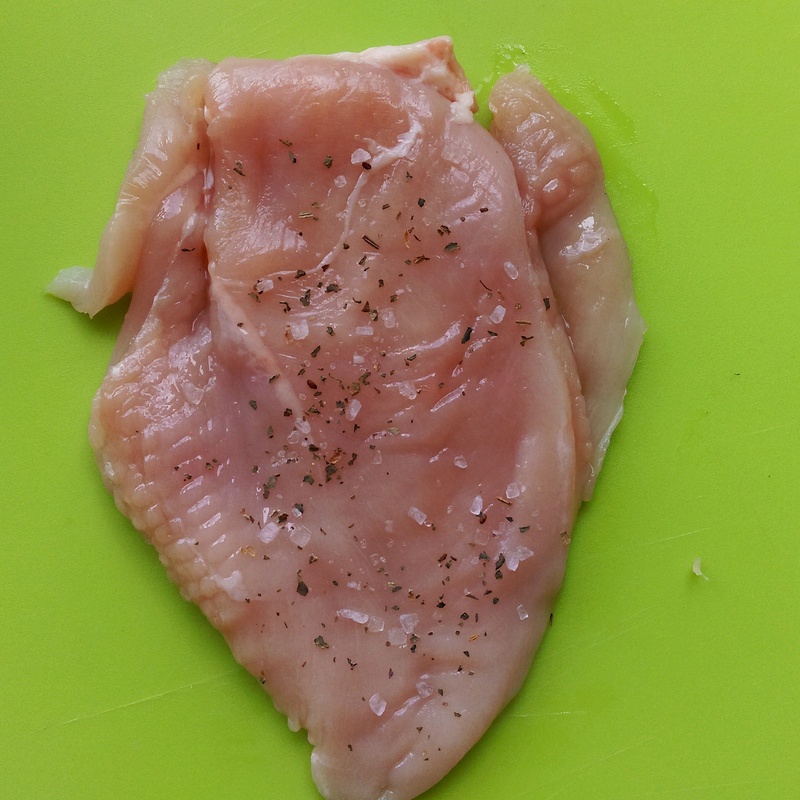 Season the chicken breast with a little salt and pepper. 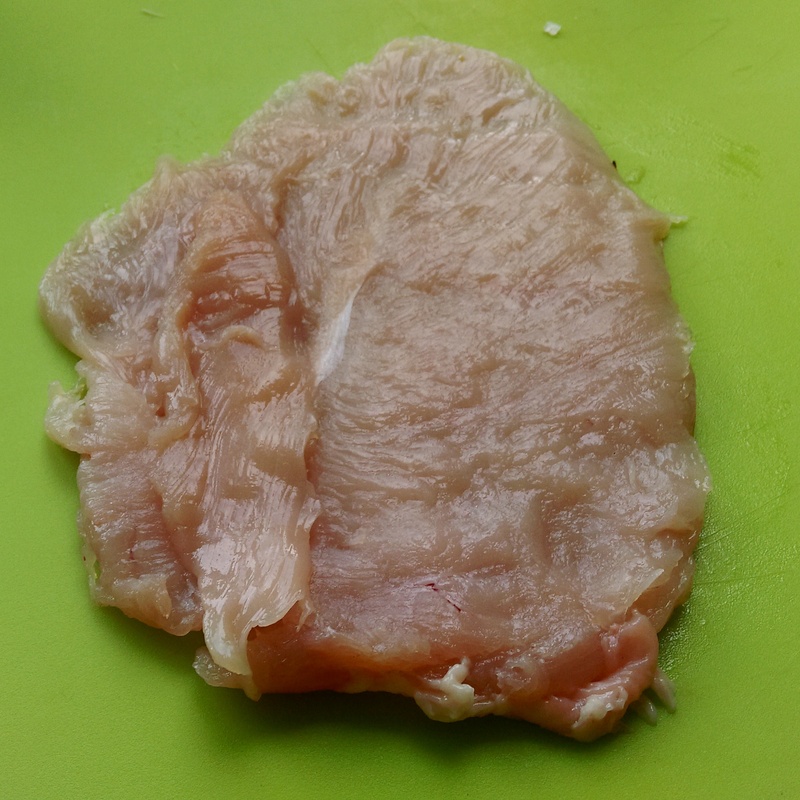 Slice the chicken about 3/4 the way through and open up so it has twice as much surface area. Cover with cling-film and pound with a rolling pin until it’s about a centimetre thick. Chop the spring onion and fry in a pan with a little salt – just to take the raw edge off, you don’t want them to brown too much. 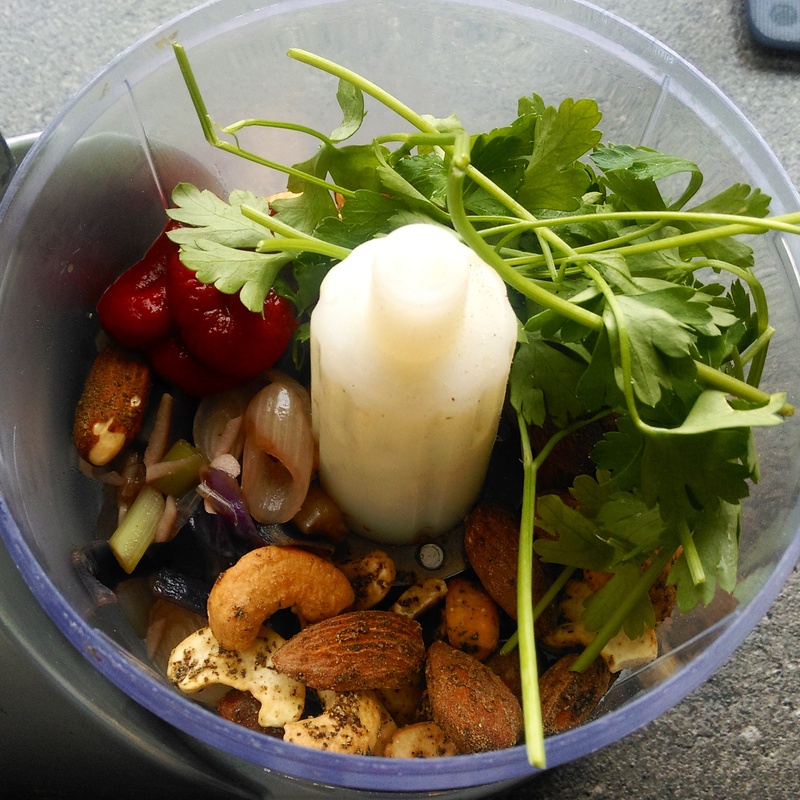 In a blender combine the onion, a handful of cashews, fresh parsley and a squidge of tomato paste. 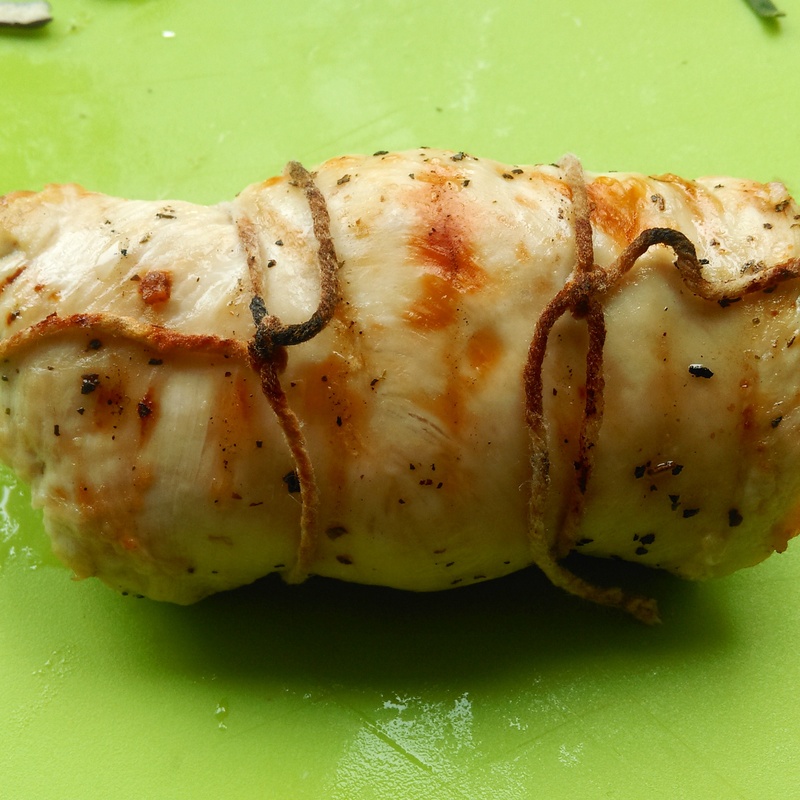 Spread over the chicken breast – don’t add too much or it will all leak out during the cooking. 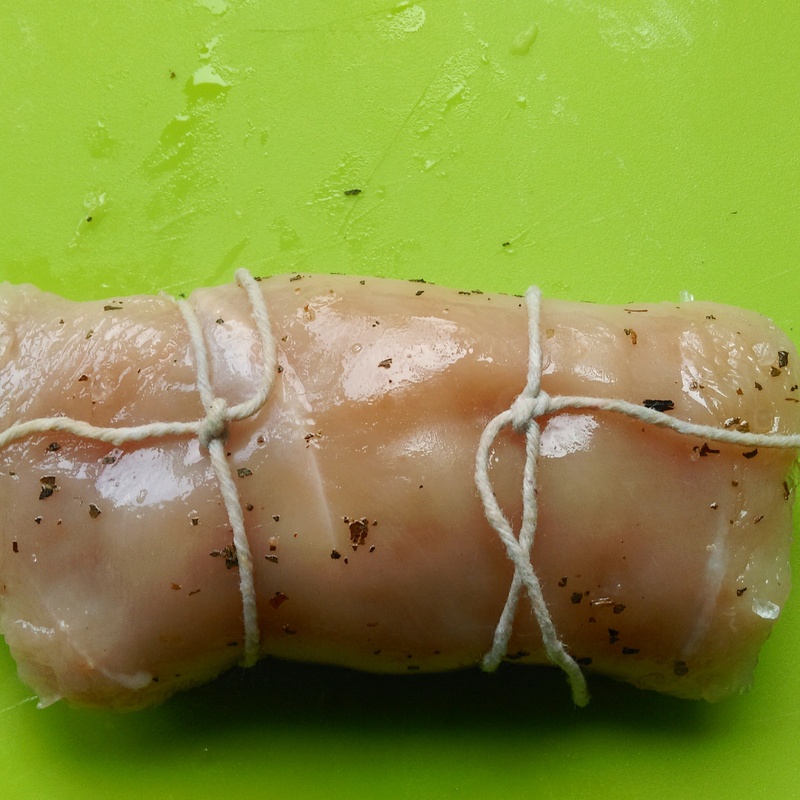 Roll the meat like a swiss-roll and tie with some string. Grill, turning half way through, until the chicken is cooked through. Remove to a board and allow to rest for a few minutes before slicing. Be sure to use a very sharp knife if you don’t want to make a mess! I served mine on top of the spiced passata and cream with some lightly steamed vegetables. 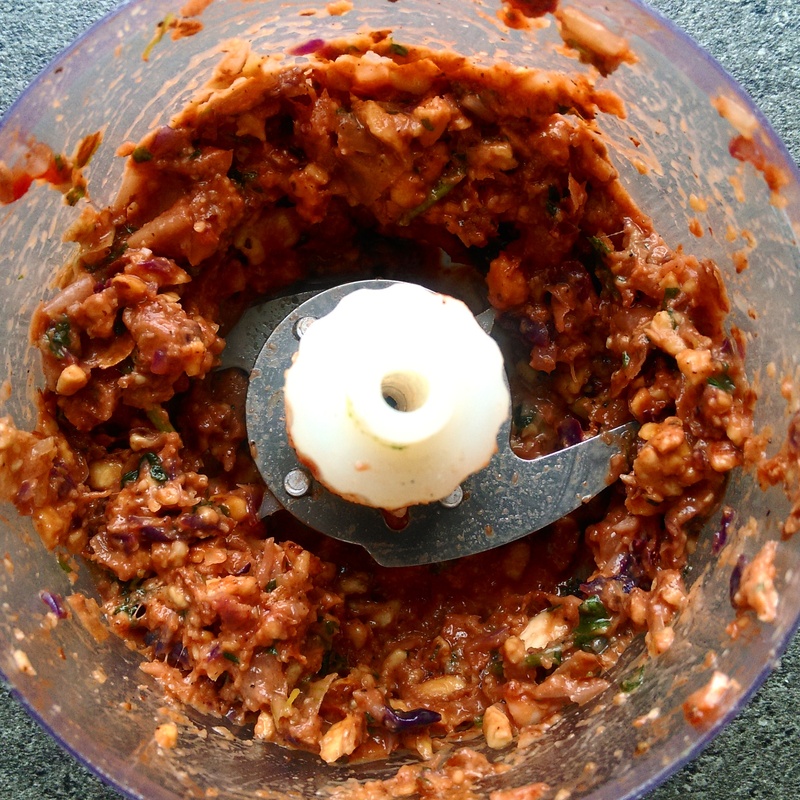 The chicken is very filling so keep the accompaniments light! Posted in Guesscipes, Mains, PoultryTagged cashew, chicken, dinner party, featured, gourmet, guesscipe, healthy, nuts, recipe, spring, stuffedBookmark the permalink.